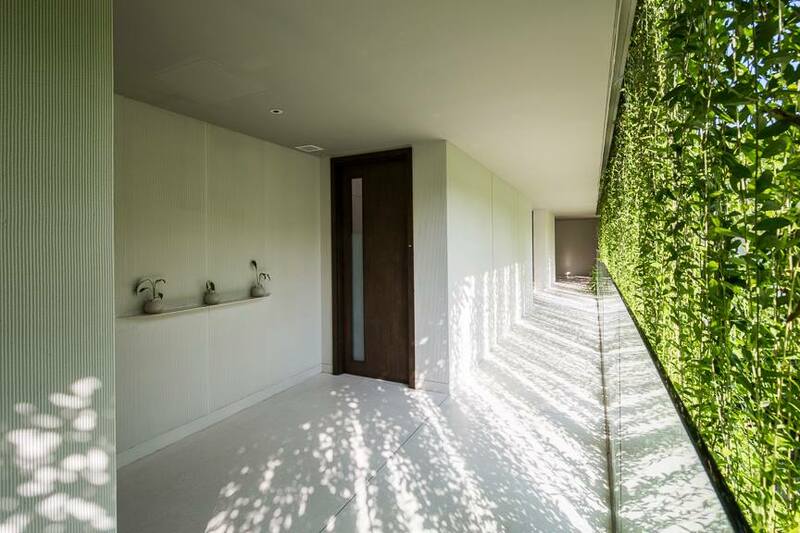 A tranquil environment draped in nature typifies the 15 room treatment center, known as PURE SPA. 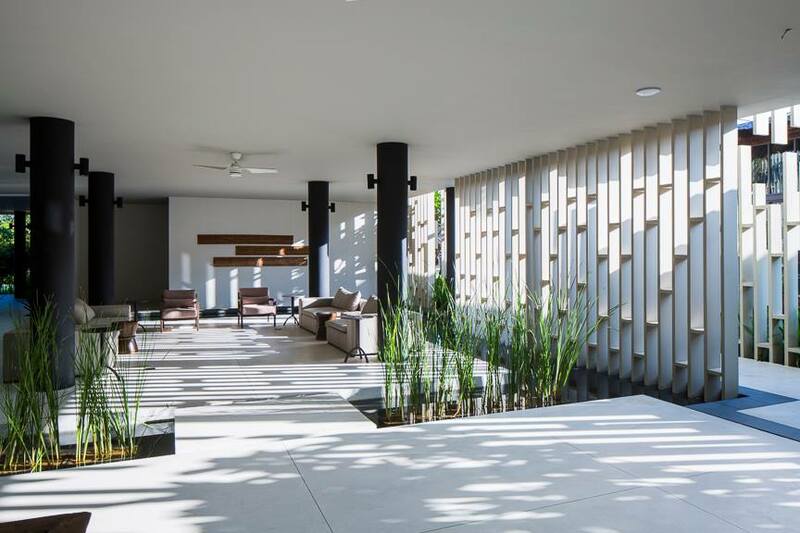 The development designed by MIA Design Studio is part of the Naman Retreat, located in Da Nang City, Vietnam. 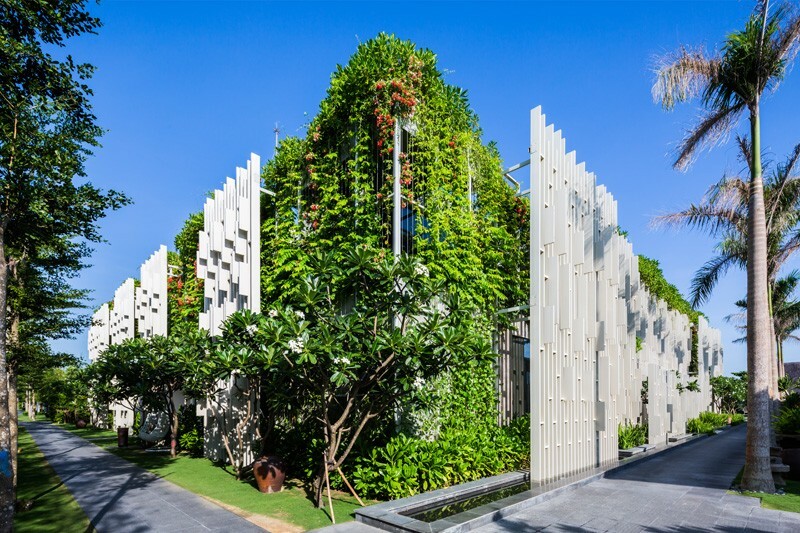 The Pure Spa is an oasis of tranquility and facilitates at the five-star Naman Retreat in Da Nang. 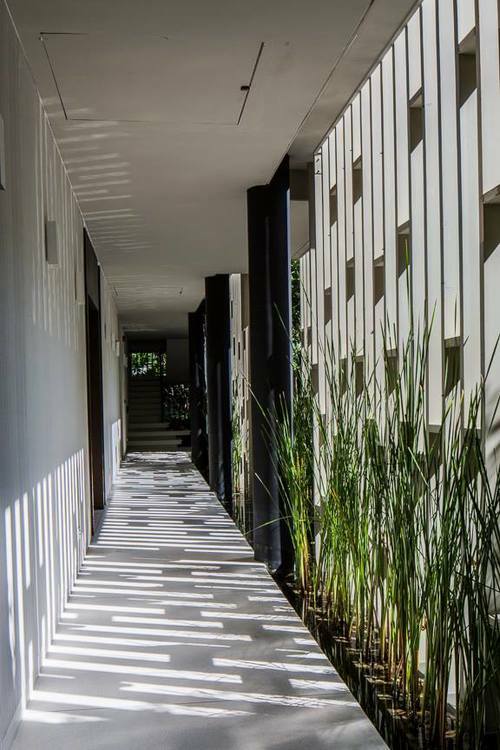 Fifteen stunning treatment rooms are endowed with lush open air gardens, deep soak bathtub and cushioned daybed built for two. 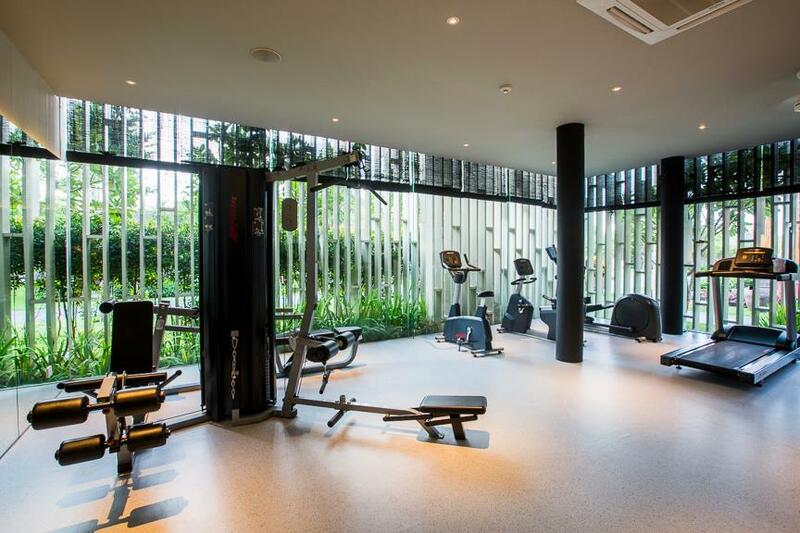 Keep fit at the equally sleek health club with gym, meditation and yoga sessions held at the open lounge garden in the still cool mornings. 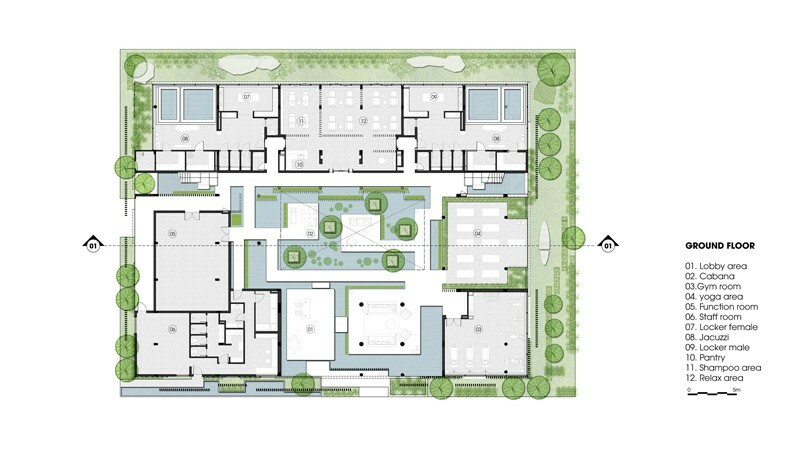 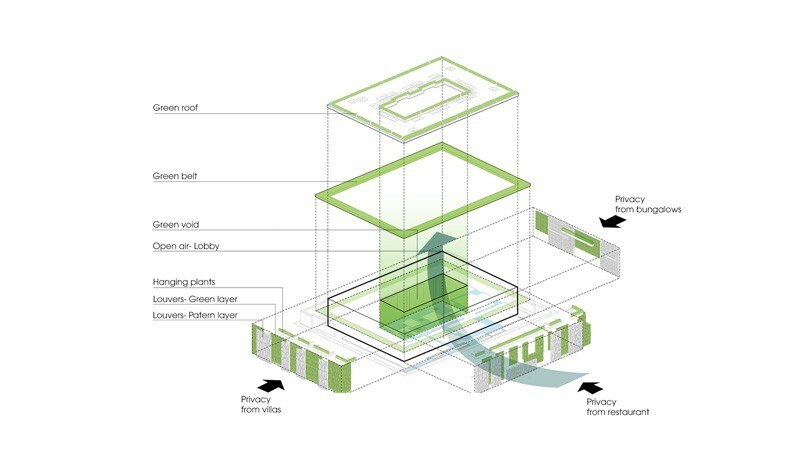 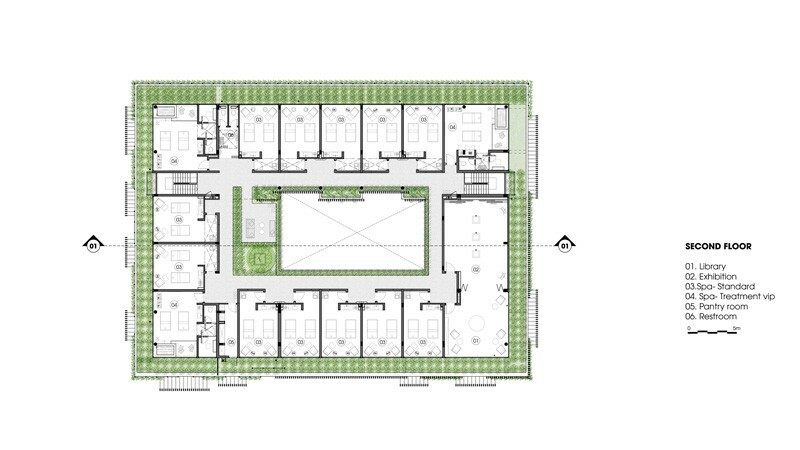 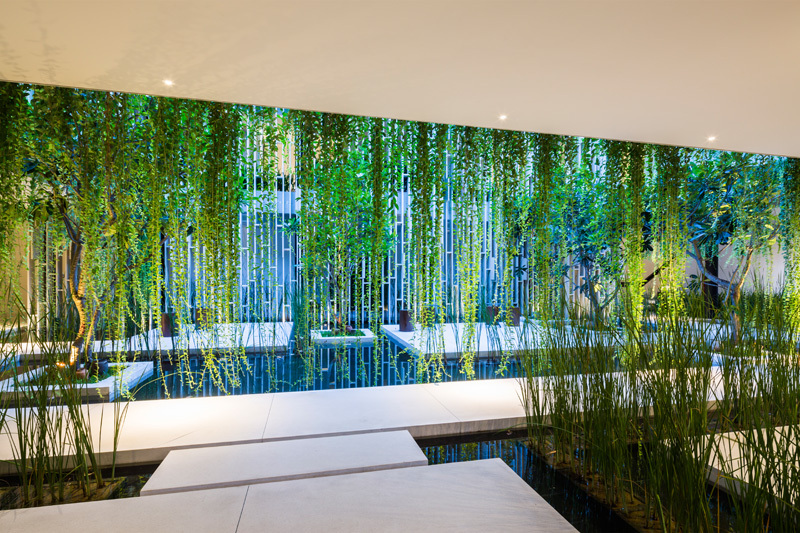 The ground floor contains open spaces with relaxing platforms surrounded by serene lotus ponds and hanging gardens. 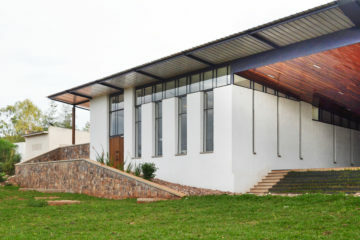 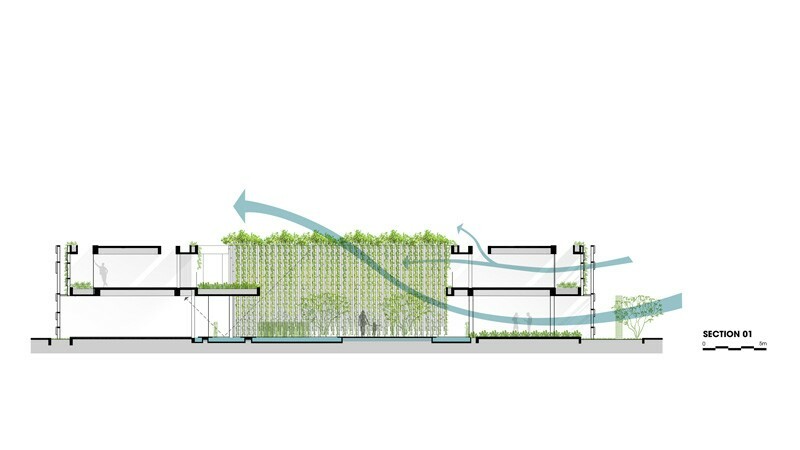 The architectural design company MIA Design Studio’s ingenious use of natural ventilation keeps the building cool and gives the guest a refreshing experience. 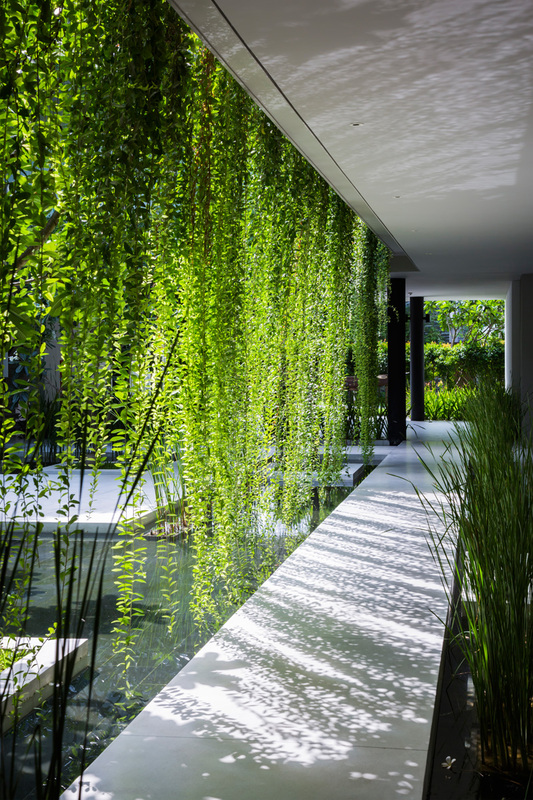 With use of local plants, each retreat becomes a healing environment where the guest can enjoy a luxurious wellness in privacy. 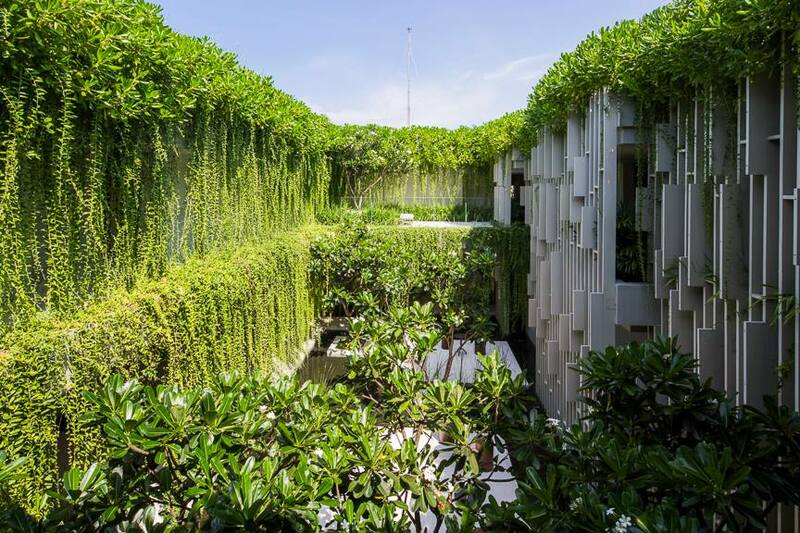 Different area’s flow smoothly into each other and the beautiful landscape creates an amazing journey into a dream like experience. 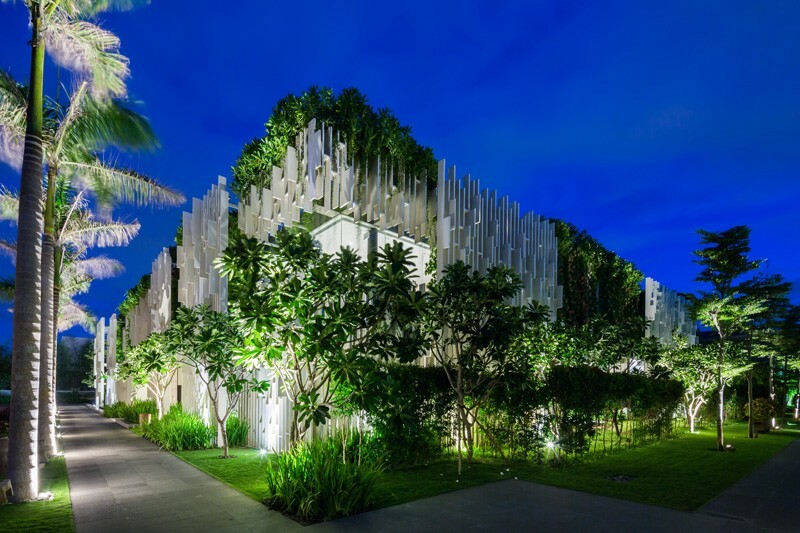 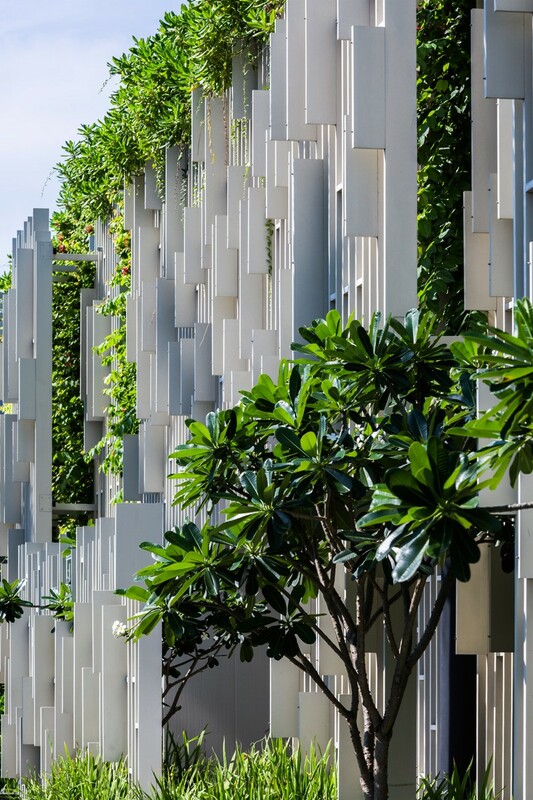 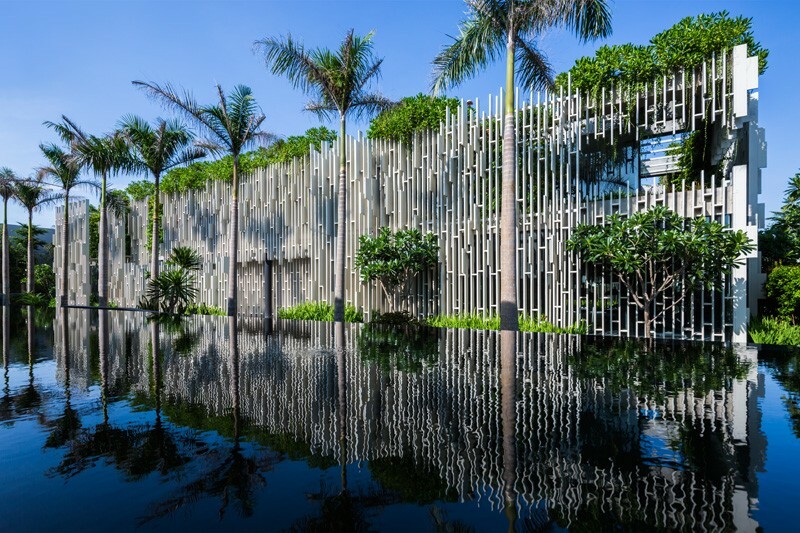 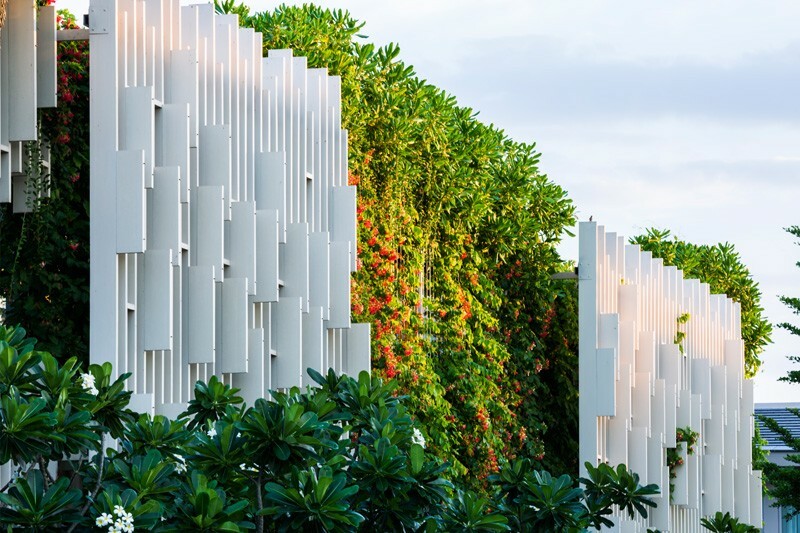 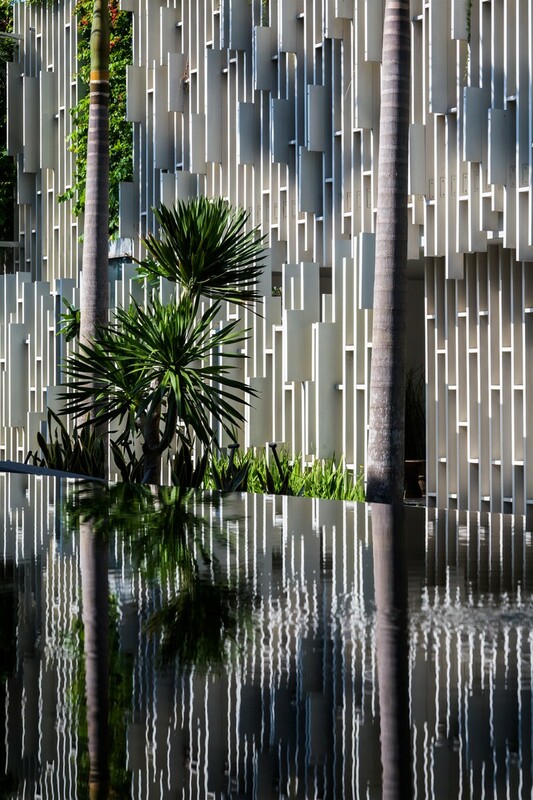 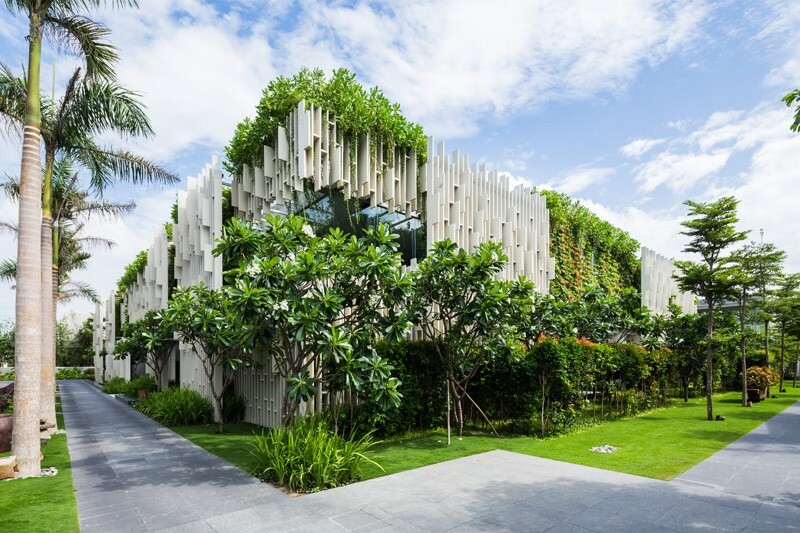 The facade is composed by lattice patterns alternated with vertical landscapes that filter the strong tropical sunlight into a pleasant play of light and shadow on the textured walls. 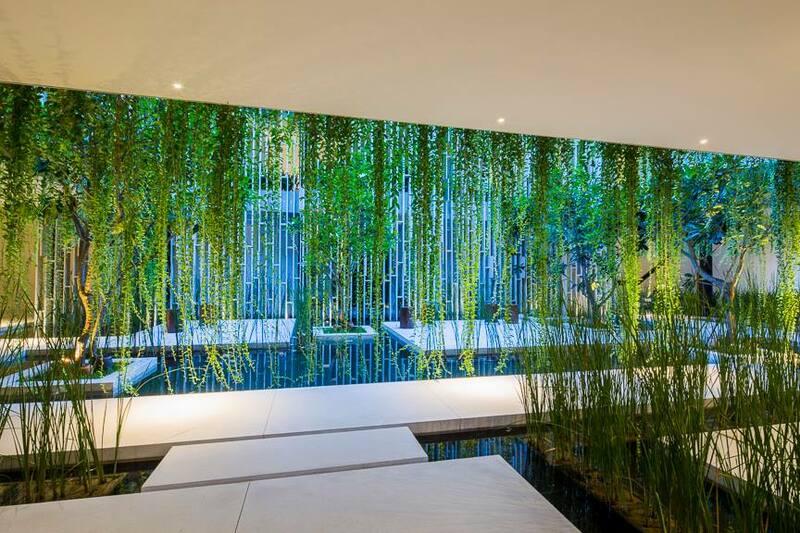 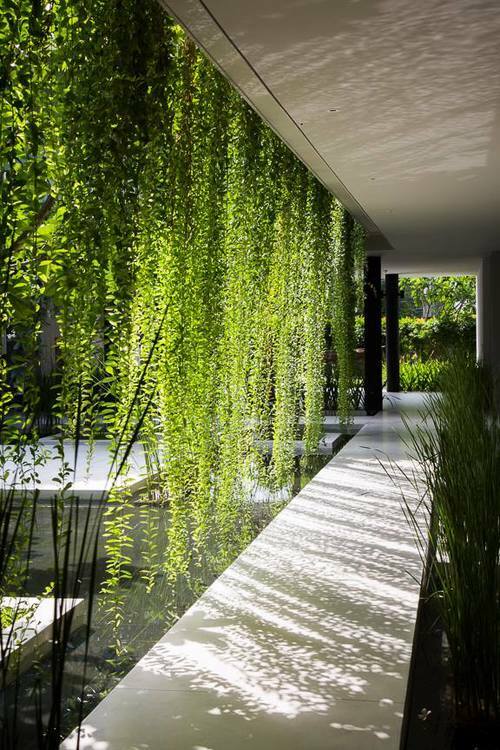 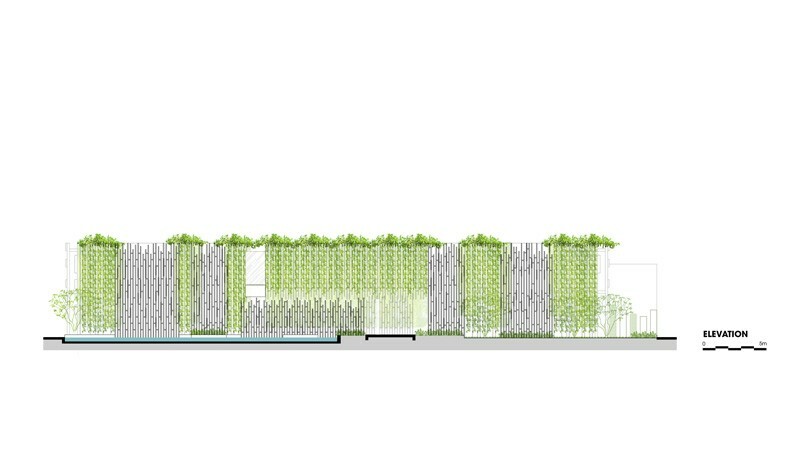 Various plants are carefully allocated and become a part of the architectural screens. 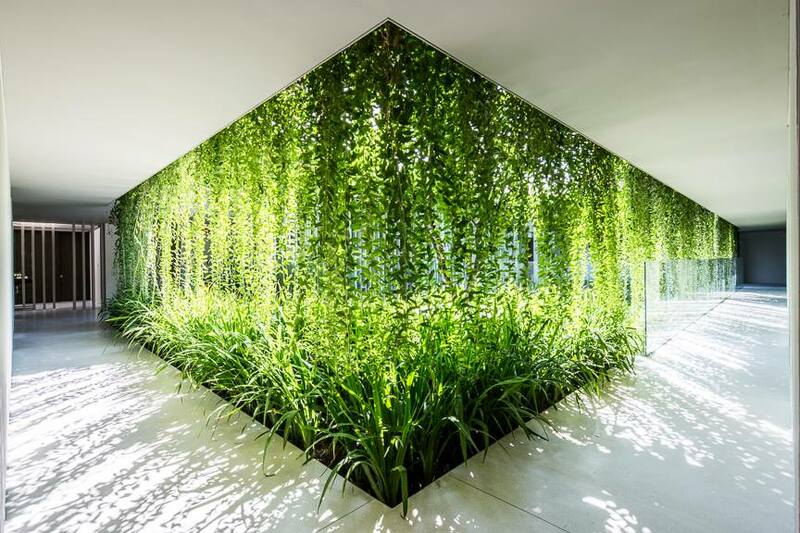 Therapy in the woods ~ Maggie Center, Churchill Hospital.